France is known throughout the world for its fabulous cuisine. When I moved to France over 30 years ago my eyes were well and truly opened to just how good food could be. 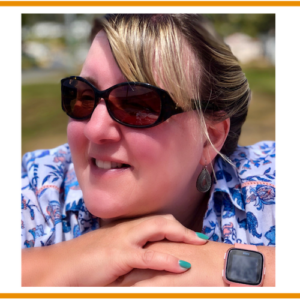 If you are planning a trip to France there are certain French food and drink options which I would encourage you to try on your visit. 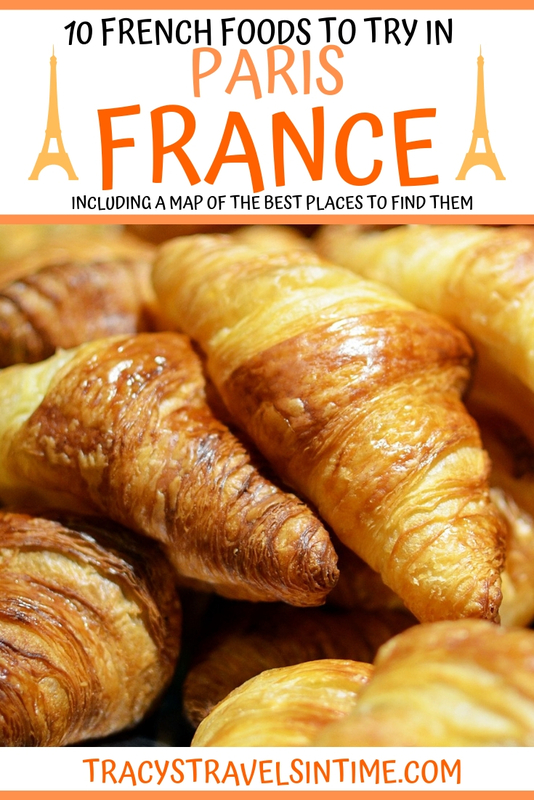 Even if you are familiar with these foods (we can all buy croissants from the local bakery at home) you will find your expectations will be raised substantially after sampling the dishes in France! Nothing beats buying a freshly baked croissant from a boulangerie. The dishes I have selected are not controversial and all of them are easily found in a French bar, cafe, bistro or restaurant! Bon appetite! Although originating from Austria croissants are one of the first foods most people name when asked what constitutes a traditional French breakfast. Buy a croissant, order a coffee or hot chocolate and enjoy. Croissants are generally eaten without butter or fillings. If you want a slight variation on this classic French breakfast staple order a pain au chocolat or a pain aux raisins. 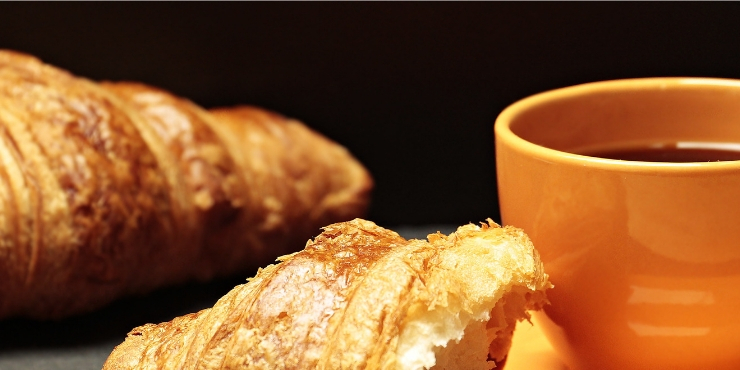 Where can you find the best croissants in Paris? Open Monday – Friday 7 am until 8 pm this bakery is popular with Parisians and specialises in chocolate-pistachio rolls, fresh apple chausson, orange blossom brioche. The bakery is located in a beautiful building which dates to 1875. Don’t forget to take some Instagram worthy shots whilst purchasing your croissants! 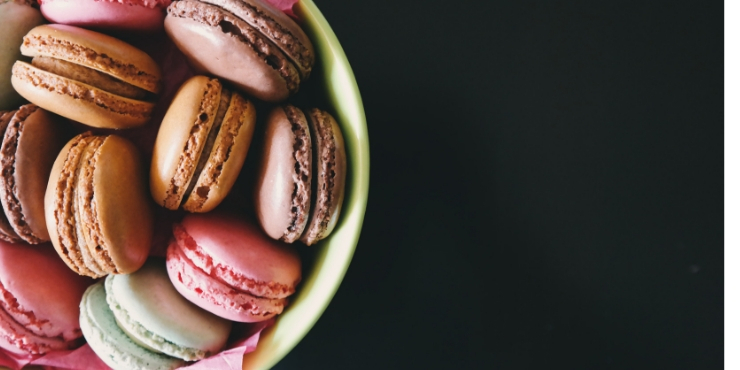 Originating in Italy but brought to France by Catherine de’Medici in the 16th century the macaron we know and love today was created in the 20th century by Pierre Desfontaines Ladurée when he stuck two single macarons together with chocolate ganache. 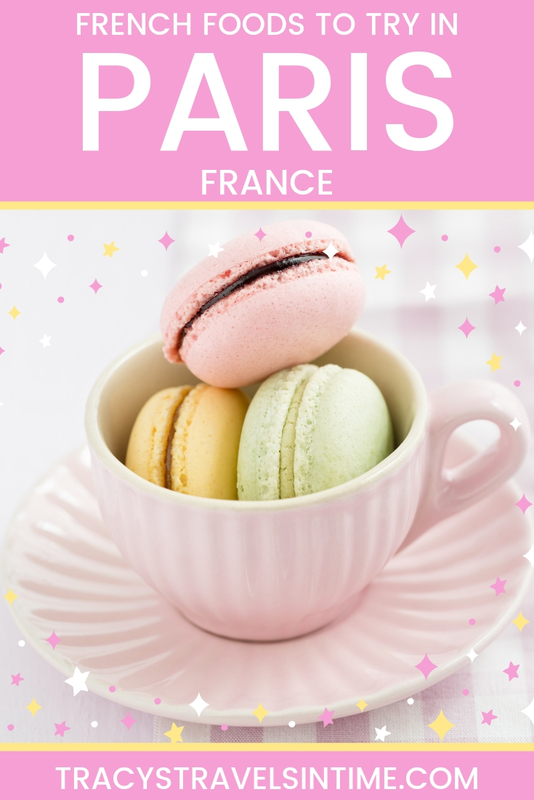 Where can you find the best macarons in Paris? There are many patisseries selling beautiful macarons in Paris but my choice would be a visit to Ladurée where they originated. There are Ladurée stores all over the world, including 12 in Paris, selling over 15,000 macarons a day. Visit their flagship store on the Champs-Élysées and try to resist purchasing a gift box or ten if you can! 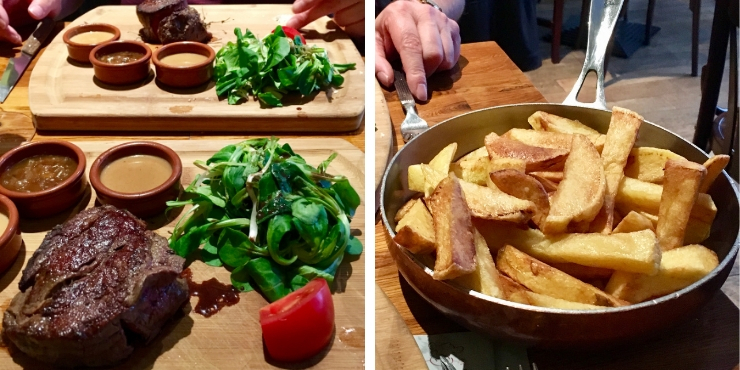 Although technically originating in Belgium steak frites (or bifteck-frites) is a dish I highly recommend ordering when in Paris. My recommended restaurants to visit are Le Relais de L’entrecote in St Germain and Sacrée fleur in Montmartre. No menu here simply a green salad followed by grilled steak and tasty fries with your plate topped up 2/3 times as you eat. One of the best restaurants for steak-frites you will find a queue at the door if you arrive after 5.30 pm. If you are visiting Paris during the autumn or winter a meal of French onion soup has to be on your culinary itinerary. Found in many bistros and restaurants this most iconic of soups made with caramelized onions, fresh thyme topped with gratinéed croutons is delicious. Probably not as popular with Parisians as it is with tourists I would still recommend ordering some! 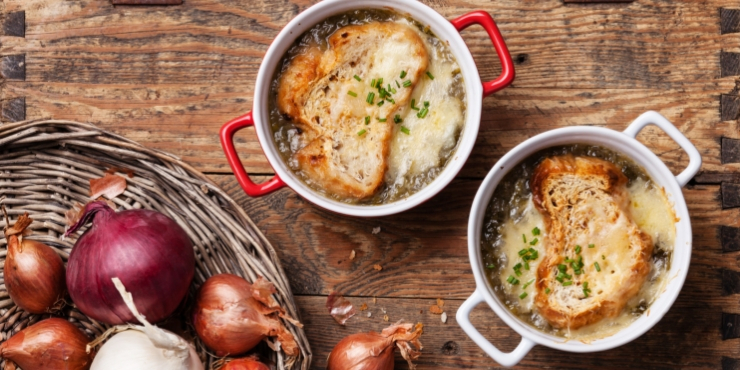 Where can you find the best French onion soup in Paris? Ok this is technically Swiss but it is too delicious to leave off the list! It is very popular in the Savoie region of France but is available throughout the country. 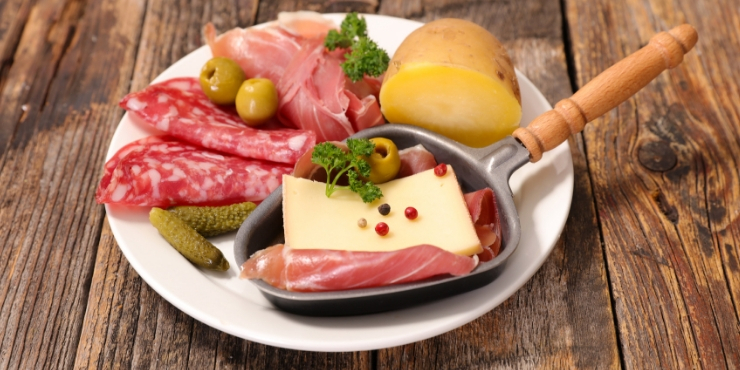 Melted cheese is served with boiled potatoes, cold meats and pickles. It is a very simple but really fun as you prepare your own cheese on a special raclette grill. Where can you find the best raclette in Paris? Many of the restaurants that serve fondue and raclette in Paris are catering for tourists. This restaurant is popular with Parisians and highly recommended. Moroccan food really has to be sampled when you are in Paris. With a large Moroccan population living in Paris comes access to the food of this former French colony. 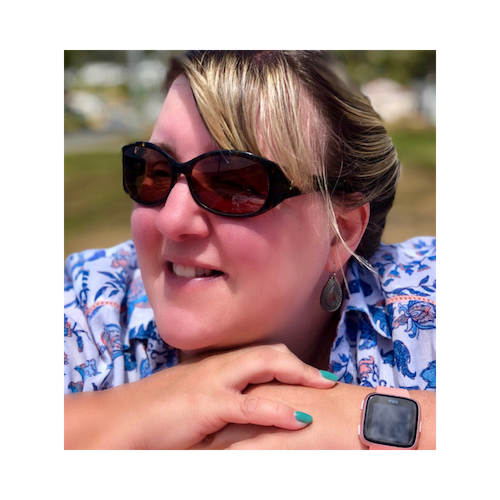 I was first introduced to Moroccan food when I lived in France and I always visit at least one restaurant to order my favourite dish – Couscous Royale – when I am in the country. 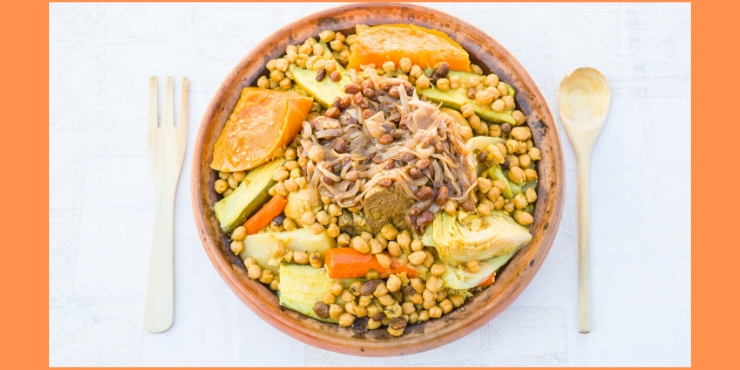 Where can you find the best Moroccan food in Paris? I am going to recommend a visit to the “Marché couvert les Enfants Rouges” in the Marais district. In the market you will find an extremely popular food stall selling a range of delicious Moroccan foods. A perfect option for lunch a croque monsieur (or add an egg for a croque madame) is always my number one choice! This gourmet cheese and ham sandwich with a spread of Dijon mustard is a great snack that can be purchased at French cafes and bars. 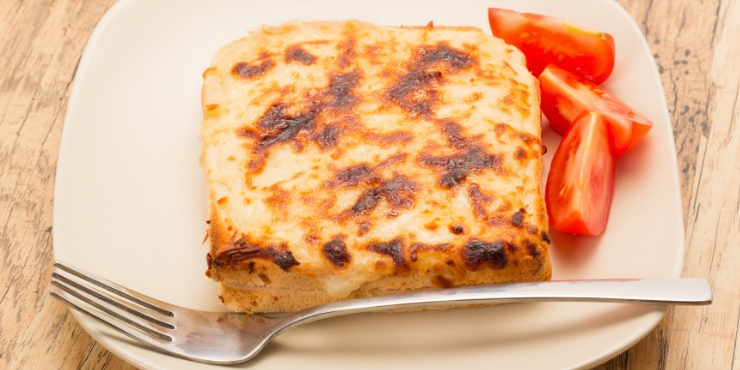 Where can you find the best croque monsieur food in Paris? A crêpe is a very thin pancake that comes in two different types – sweet or savoury. Savoury crêpes are actually NOT crêpes but galettes (though galettes can also have a sweet filling) and originate from Brittany. Galettes generally don’t contain milk and eggs and are usually brown in colour. The variety of fillings and toppings for crêpe and galettes is endless. 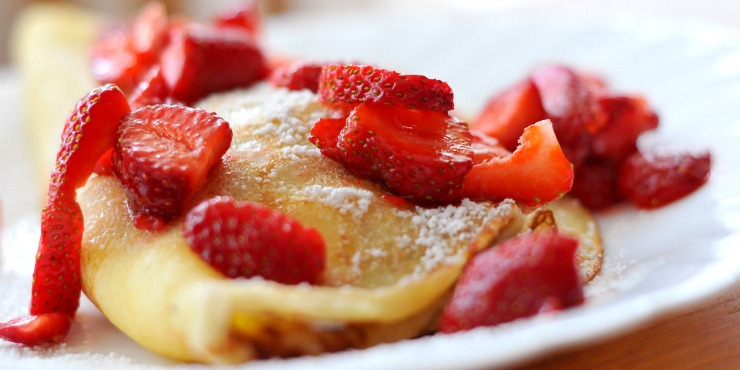 From simple sugar to nutella, fruit, cream, nuts crêpes are a tasty treat at any time. Where can you find the best crêpes in Paris? 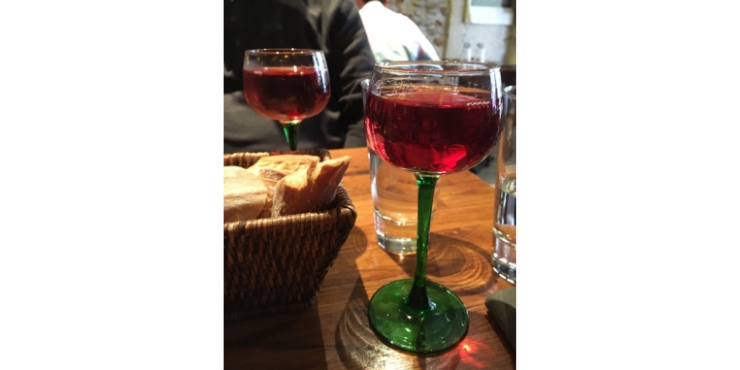 Add a crème de cassis (blackcurrant liquor) to a glass of white wine to make a Kir my favourite French cocktail. Or even better top the cassis with champagne you have a Kir Royale. 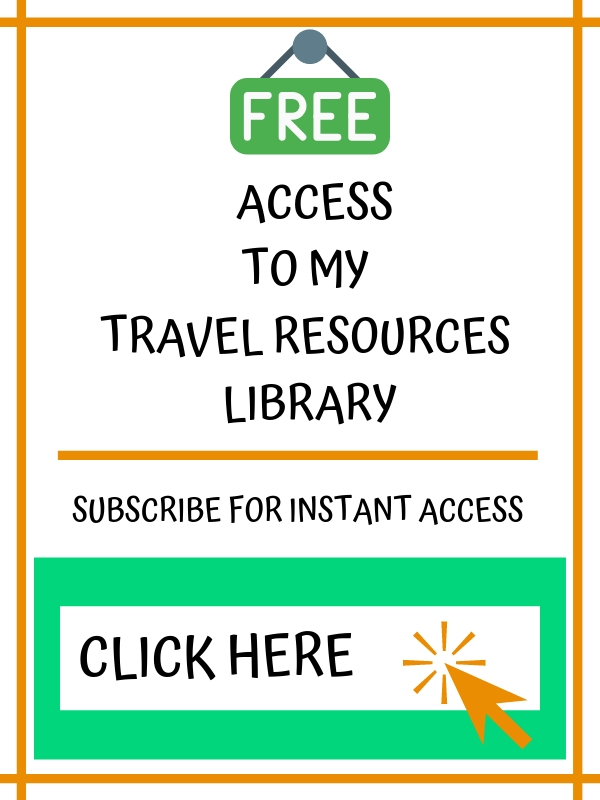 You will find every bar and restaurant in Paris serves a Kir or Kir Royale! Where can you enjoy the best Kir Royale in Paris? Not the cheapest option but I would head to the wonderful and very famous Café de Flore with its classic Art Deco interior to enjoy a Kir Royale. 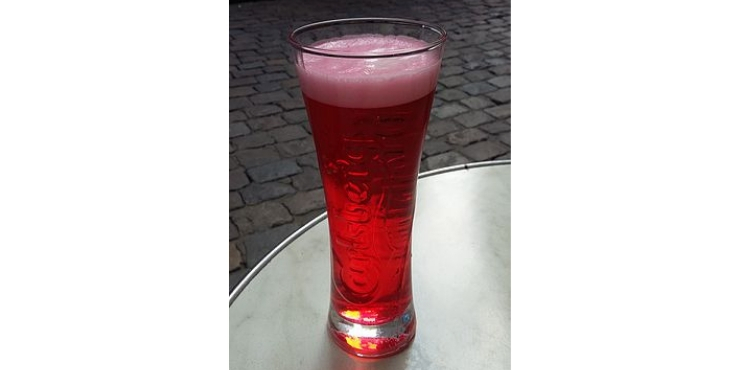 This classic beer cocktail is my favourite drink when I am in France. Made from a combination of grenadine (pomegranate syrup), lemonade and lager (Stella Artois preferably) this is a perfect drink to enjoy during the summer months. 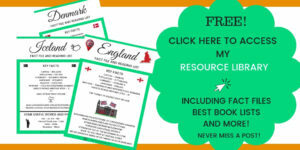 This is sold in every bar, bistro and restaurant in France! 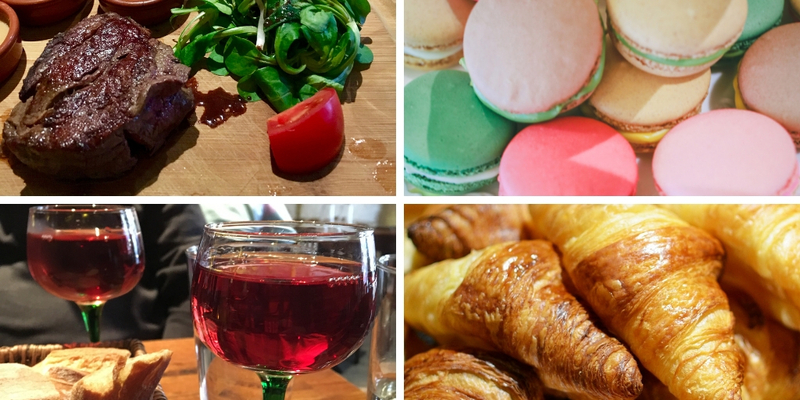 WHERE CAN YOU FIND ALL THESE DELICIOUS FOODS IN PARIS?